Nestled picturesquely on the beach at Besant Nagar, the Varasidi Vinayakar Temple is dedicated to the Hindu Lord Ganesh. This Chennai attraction is a sight for several city happenings, especially those of cultural and art. On the day of Vinayaka Chaturthi, the sight holds delightful music programs that are highly engaging. The main shrine of the temple, that can be seen even from outside by trespassers is very alluring, and draws you closer as you keep observing it. Locals also fondly refer to this idol as the “Wish Fulfilment Ganesh”. Manthra Pushpam And Archanas 08:30am. How popular is Varasidi Vinayakar Temple? 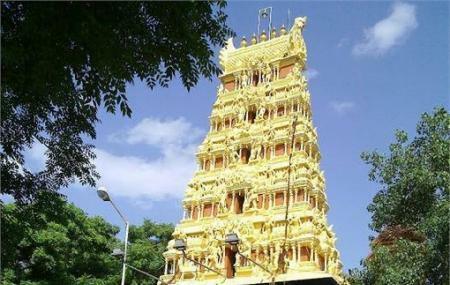 People normally club together Dhandeeswaram Temple and Our Lady Of Lourdes Shrine while planning their visit to Varasidi Vinayakar Temple.